Last year, I started university, and since then, I’ve gained an entirely new perspective on education. Well, university education anyway. Don’t get me wrong, I have enjoyed my time so far, but I feel like there are some things that need to be addressed. I went into this new chapter of my life completely open-minded, thinking of it as a great adventure that, while different from high school, would just be a little more challenging. That it would have no faults and I would fall completely in love with the experience of it all. Boy, was I in for a surprise. In class one day, we had a guest lecturer (Nick Mount, a professor at the University of Toronto) who spoke to us about education, and he had many wonderful ideas about what was wrong with the current post-secondary education system. He said that it has changed a lot from the past, when going to university was considered an activity for elite society; university didn’t just let any old riff raff in like it does now. Now, as long as you have above a 68 per cent average, you’re getting in somewhere. There are so many students going to universities now, regardless of whether they want to or are ready to, that averages are going down, campuses are crowded and class sizes are reaching ridiculous proportions. When my parents went to this university, the class sizes were small (less than 50); now, class sizes such as those for psychology and philosophy at my university have reached up to 400 students per class. I remember my parents telling me that they knew their profs. Hell, they were basically friends with them. That wouldn’t have even been possible in my psychology class, where the room was packed to the brim with sweaty, gross university students who would frankly love to be anywhere else but there. It is not an environment conducive to learning. With larger classes comes less opportunities for students who need help to get it. I am lucky enough to be attending a school where tutorials are required for most first year classes, but not all institutions have this wonderful opportunity available to students. And trust me; in a class with 400 students, the prof isn’t going to take the time to explain what they lectured on to each individual student who needs help. 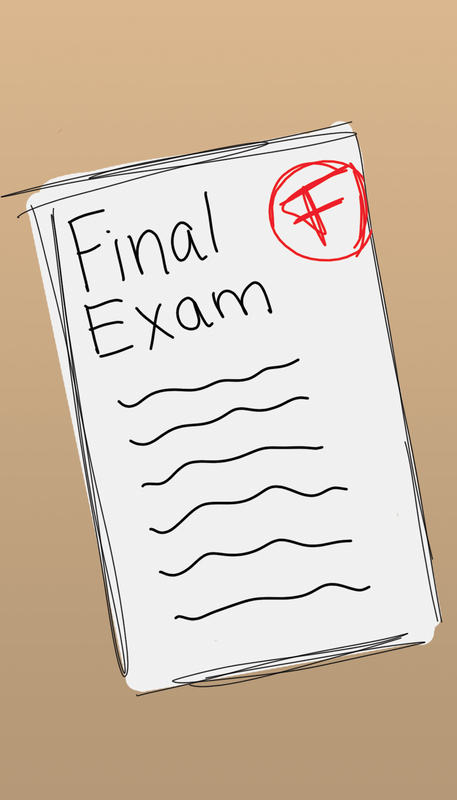 One of the biggest determinants for marks is final exams. Basically, all of the things that you learned over the course of 12 weeks in a course are compiled into one big, bad test that could mean the difference between passing and failing a class. 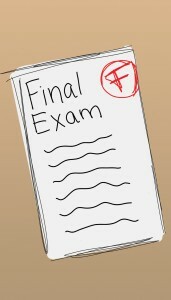 Even students who have fantastic marks could do poorly on the exam due to stress. Imagine trying to force your brain into remembering anything and everything from the last three months of your life and then write it down. Pretty much sums up how I feel about exams. In my opinion, exams are a very poor way of testing what the student has learned; they don’t actually test your knowledge of course material and they don’t show how much someone has learned. If universities were to get rid of finals and replace them with cumulative assignments, stress levels would go down, morale would go up and people might be better motivated to achieve good grades. Cumulative assignments, combined with smaller tests throughout the semester, instead of midterms and finals would be a much better way to assess how well somebody is doing. Students would be forced to come up with a creative way of showing that they have been paying attention and attending lectures. Reading over notes and writing an exam just aren’t cutting it any more. If people are expected to graduate with good marks (so as not to tarnish the reputation of the institution), we need to figure out a better way of testing students on their knowledge. On the whole, people are intelligent, with some notable exceptions (enter the Honey Boo Boo clan). So why then is it that so many people are doing poorly in school, be it secondary or post-secondary? It is not the students who have the majority of problems, it’s education itself.